Fredericksburg, TX is modern and historic, and it is a place with a fine balance between true Texan hospitality and German traditions. Stroll along the historic Main Street to enjoy the beautiful 19th century architecture, relax on the lively Marktplatz, or visit the Vereins Kirche Museum, the oldest building in the city. Perched on the Llano Uplift about 17 miles from Fredericksburg, a magnificent pink granite dome named Enchanted Rock can be seen from many miles around. To protect this interesting geological and historic area, the Enchanted Rock is now part of the Enchanted Rock State Natural Area, which includes the Rock and the land south of Llano River between Gillespie and Llano counties. Covering about 640 acres and 425 feet high, humans have been visiting the rock for at least 10,000 years as the remains of spearheads and similar artifacts indicate. Native people tell many legends and stories about it. There are more than eight miles of trails leading to the Rock, and you can find plenty of interpretive exhibits, wildlife, picnic areas, and rock climbing opportunities. If you come to the trail near the entrance to the Old Tunnel State Park around sunset, you will have an opportunity to see thousands of bats flying out into the cool night air. Scary and spectacular at the same time, this event attracts many tourists visiting Fredericksburg. It is located on the Old San Antonio Road, between Fredericksburg and Comfort. The cave where the bats live is an abandoned railroad tunnel that belonged to the Fredericksburg and Northern Railway until 1942. The tunnel, which is home to more than three million Mexican free-tailed bats and over 3000 Cave myotis bats, was designated a state park in 2012. The cave is left to the bats, and the entrance is forbidden, but the half-mile trail that leads to the cave is a great place not only to watch bats but to take a pleasant hike, watch the birds and read fascinating information along the trail about the bats and the area . Spread across three and half acres, the Pioneer Museum Complex showcases the history and culture of a Texas Hill Country community established by German immigrants who settled in the area in the early 19th Century. The original Pioneer Museum site was on West Main Street in the Vereins Kirche, a replica of the 1935 church. 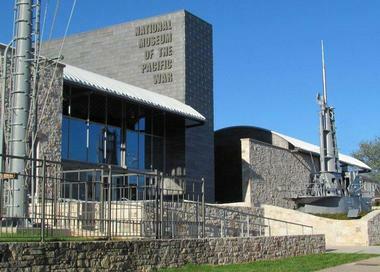 In 2008, the museum moved to its current location. 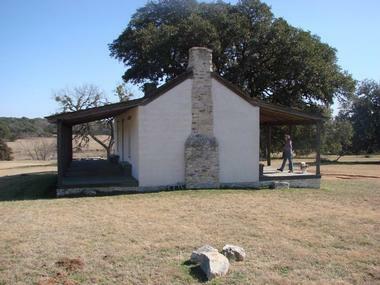 The Gillespie County Historical Society, which is in charge of the complex, purchased the historic Kammlah house, store, smokehouse, and barn in 1955. The Pioneer Museum has eleven buildings today. 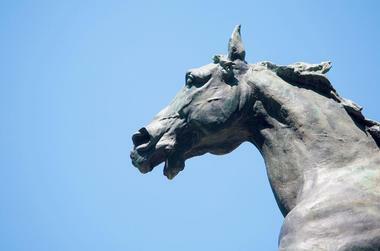 Nine of them are of historic significance and can be visited during the tour of the museum grounds. The Society also has more than 300,000 artifacts that portray the rich German heritage of Fredericksburg and Gillespie County. A few times a year, the museum organizes events that include docents dressed in period costumes, storytelling, rope and soap making, sheep shearing, and so much more. The National Museum of the Pacific War is a six-acre museum located in Fredericksburg that is the only of its kind; it is dedicated to honoring the people who fought in the Pacific War. The museum complex consists of the renovated Hotel Nimitz, which houses a museum dedicated to Fleet Admiral Nimitz, Commander in Chief of the US Pacific Fleet during the Second World War; the George H. W. Bush Gallery with the Nimitz Education and Research Center; the Japanese Garden of Peace; the outdoor Plaza of the Presidents which honors presidents who served in the World War II; and the Pacific Combat Zone, a recreated Pacific island battlefield with a boat and base, a Quonset hut hospital, palm trees, Japanese tank, and machine guns. There are regular battle re-enactments named Living History. The Memorial Courtyard is home to the Veterans' Memorial Wall and Walk of Honor. Fredericksburg's Main Street is the city's main artery, where everything starts and ends. It has two distinctive parts - The Magic Mile central shopping district, and the historic West Main Street. Separating the two is the Marktplatz, with its pavilions, green lawns, waterwheel, the famous Maibaum (maypole), and picnic tables, is the heart of the city and the site of many big festivals and community events. The Vereins Kirche Museum, the oldest building in Fredericksburg, is also on the Marktplatz. The Magic Mile starts at the Admiral Nimitz Museum, and it is lined on both sides with beautiful historical buildings, many of which are home to high-end shops. Visitors enjoy wide sidewalks and beautiful courtyards, and there is breathtaking architecture on every block. 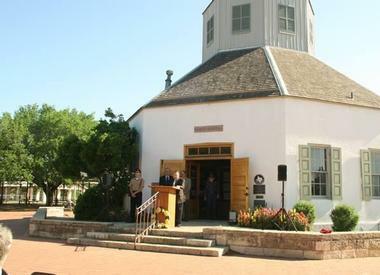 Located in the heart of Fredericksburg's Marktplatz, Vereins Kirche Museum is the oldest structure in the city. It was built not long after the arrival of early German settlers in the beginning of the 19th century, and it is a beloved symbol of the city's culture and heritage. As the first public building in the city, it served as a church for all religious denominations and as a fort, a town hall, and a school. The original structure was demolished in 1896 and was rebuilt in 1935. The opening of the new building was celebrated with a huge party. The museum features a collection of photos and artifacts that tell the story of Fredericksburg and its pioneers. Just off Fredericksburg's historic Main Street is a modern live music venue called Rockbox. Opened in 2007 in the former warehouse, the Rockbox is today a modern entertainment venue that artfully combines its industrial origins with the historic aura of the area. 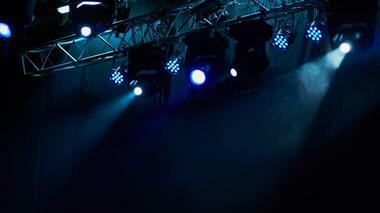 Although its original focus was on rock and the music of the 50s and 60s, Rockbox eventually evolved to serve as a venue for many diverse touring bands, artists, and young groups such as Platters, the Diamonds, the Association, and the country music trio High Valley, as well as comedy shows. 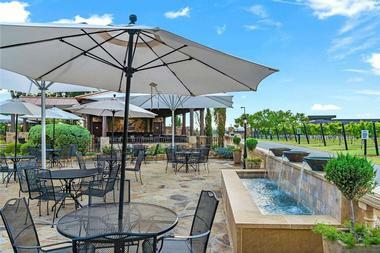 The venue is also available to rent for corporate events, large parties, or conferences. Fort Martin Scott was a US Army outpost near Fredericks burg that was built in 1848 and abandoned in 1853. It was one of several frontier forts built to protect settlers and travelers from Indian attacks. The structure was located on Baron's Creek about two miles from Fredericksburg, and at one point the fort consisted of twenty-one buildings. The soldiers' job was to patrol the Fredericksburg-San Antonio road and the surrounding area. In 1986, the Fredericksburg Heritage Federation took over the fort's care and maintenance and started extensive reconstruction. Some of the most interesting parts of the tour of the fort are the commander's quarters, officers' housing, a supply store, laundry, warehouse, bakehouse with oven, enlisted men's barracks, military hospital, a stable, barn, and a blacksmith shop. The only remaining part of the original fort is the limestone guardhouse. Founded in 1997, the Fredericksburg Theater Company has been producing grand theatrical performances that bring together locals and visitors of the community for nearly 20 years. Throughout the year they go beyond entertaining the masses to educate, enrich, and inspire thespians with theatrical programs and workshops on acting, playwriting, a youth theater, and much more. Over 10,000 people come to participate and view productions of the Fredericksburg Theater Company annually, and this season's productions include Aladdin Jr., Beauty and the Beast, and a Broadway tribute to Rodgers & Hammerstein with A Grand Night for Singing among others. Wildseed Farms is a Fredericksburg favorite for flower and plant lovers. The farm grows local favorites for viewing and purchase, including Indian Blanket, Laura Bush Petunias, Purple Coneflower, and Bluebonnets. There's also a large selection of “hard to find” shrubs, trees, and tropical plants as well as ornamental grasses, cacti, succulents, and Texas natives. Visitors can shop at Blossom's Boutique and the Primrose Room for flower-inspired clothing, fashion jewelry, accessories, and whimsical gifts. The Brewbonnet Biergarten is a place for visitors to relax on the patio and enjoy the live plants and nature-based books while savoring snacks, sandwiches, and a chilled beer or drink. Home to the Official Texas State Longhorn Herd, the Lyndon B. Johnson State Park and Historic Site has various points of focus for visitors to enjoy. There are enclosures containing longhorn, buffalo, and white-tailed deer - all animals that have played a part in the park's history. The visitor center has fascinating interactive displays and memorabilia from President Johnson's presidency. There's a two-room dogtrot cabin filled with furnishings similar to the 1870s for visitors to explore as well as a 1918 living history farm where visitors will meet characters in period clothing and see how household and farm chores were done at that time. Families can swim, picnic, fish, or walk the trails at the state park and have an all-in-all memorable day. 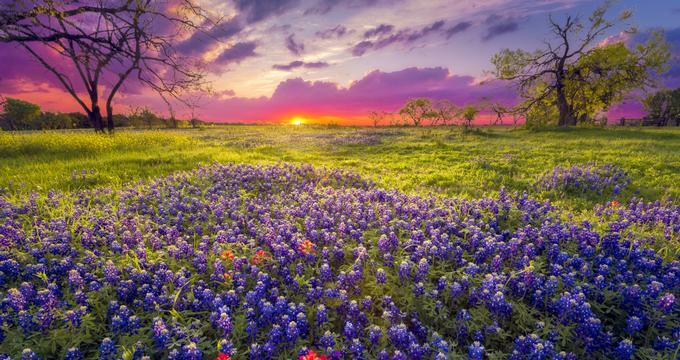 Texas Hill Country and Fredericksburg are filled with vineyards, and Majesty Tours promises to take visitors to the best of them. The unforgettable wine tasting experience starts with a ride on the 14-passenger shuttle bus to taste some of the most famous wines in the area. Staff members will take visitors through the winemaking process, allowing them to walk through the vineyards and taste the different flavors the region offers. The top-notch tour guides who accompany each tour share plenty of fun facts, making the experience all the more better. Visitors can rent out the wine shuttle for specials dinners, events, and other occasions. 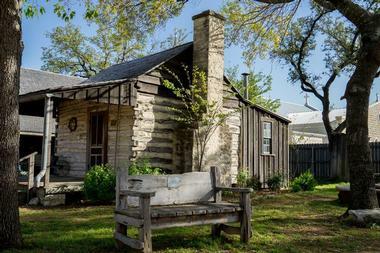 Sitting on twelve acres of historic Fredericksburg land in Texas is the Texas Rangers Heritage Center. The Texas Rangers are an integral part of the state's history, and the center is dedicated to showcasing the part they have played in history and to pass that lore on to present and future generations. The main building boasts immersive exhibits and stories of the culture, heritage, and history, and it also supports the Lonestar Ranger Academy. In addition, the campus houses a 350-seat open-air pavilion, amphitheater, campfire circle, and kitchen. You can also see a historic bell tower that is dedicated to those who have given their service to the Texas Rangers. A thirteen-mile road that comes alive in the springtime, Willow City Loop winds through hills, creeks, meadows, canyons, and valleys. Though it is beautiful all year long, it is during the spring that this stretch really comes alive. Visitors can drive through the area but are asked not to stop and explore, as most of the land is privately owned property. 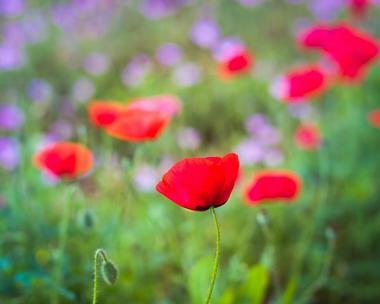 The phenomenal panoramic views are absolutely breathtaking during the wildflower season from March to May as the fields come alive with Mexican poppies, sunflowers, bluebonnets, phlox, Indian paintbrush, and a variety of other flowers. You're sure to run into wildlife, and you might even have an opportunity to see deer and other animals frolicking through the flower-filled meadows. The Lady Bird Johnson Municipal Park is 150 acres and is perfect for a day out with the family. Amenities include five outdoor pavilions, a baseball field, softball field, practice field, volleyball court, basketball court, tennis courts, swimming pools, camping grounds, picnic area, a nature trail, and a fishing pier at Live Oak Creek. Any of the courts or fields can be used for a casual game or reserved for sporting events. Situated amidst the flowing Live Oak Creek and rolling hills, the park a great place to relax, spend time with family and friends, and enjoy nature. Four of the five outdoor pavilions have barbecue pits and are a sought-after location for weddings, reunions, and other parties and events. Open throughout the year except on Thanksgiving and Christmas, Torre di Pietra is a winery off of Texas Hill Country that produces award-winning wine from ten varieties of famed Texas grapes grown in their own vineyard. 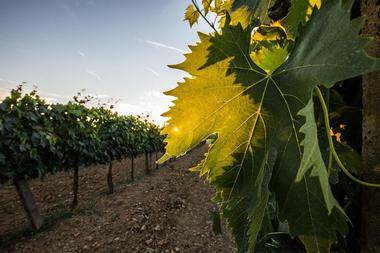 The family-owned winery boasts tradition of winemaking and farming the vineyards that goes back to the 1800s. 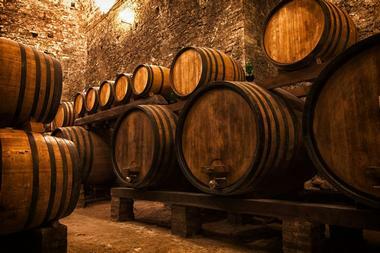 Visitors can learn of Torre di Pietra's history on a free 30-minute wine tour every Saturday; there's a separate six-sample tasting that visitors can indulge in to experience the variety of flavors. Visitors can make a day of their visit by bringing along a picnic and relaxing while listening to live Texas music on the patios and piazza. You can also find gift shops and a picnic market with a huge collection cheeses, chocolates, and of course, wine, to choose from on site. 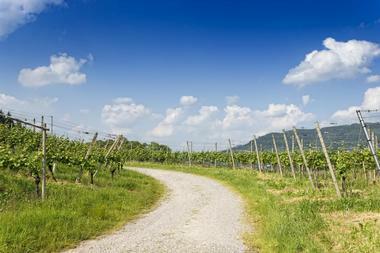 Fredericksburg is the second largest wine-tourism destination in the USA, and the Messina Hof Hill Country Winery sits right in the heart of Texas wine country. The 10 acres of vineyard and winery opened in 2011 and is known for creating traditional style ports from the Lenoir grapes grown there. Visitors can enjoy a guided tour around the land, learn about the history of Hill Country and Messina Hof, and then relish in a tasting of four wines: a port, dry red, semi-dry/sweet, and dry white. The learning experience takes visitors through tasting techniques and suggested food pairings. 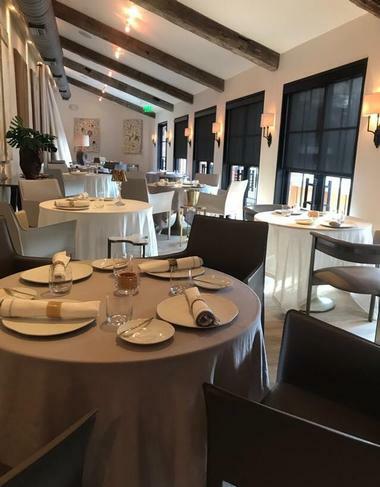 After the tour, guests are invited to explore the grounds on their own or lounge in the spacious tasting room that has over 50 Messina Hof wines and gourmet food items. Vaudeville Living is a hip New American bistro in Fredericksburg, housed within a three-story landmark retail and entertainment complex that is also home to a splendid art gallery and retail showroom. The charming bistro serves up elegant comfort fare at breakfast, lunch, and dinner daily in its unique dining room space, which features tin-pressed ceilings and a cozy eight-seat bar. Daily specials include crawfish etouffee, duck confit, lump crab curry, and Southern-style buttermilk fried chicken, complemented by house soups such as seasonal gumbo. Gourmet sandwiches are also served, along with charcuterie boards, shareable Mediterranean plates, and wood-fired artisanal pizzas. At the complex's showroom, visitors can peruse rare artifacts, elegant furniture, and home decor, including handmade Italian and German tableware and Waterford crystal goods. Visitors who are looking to experience the wineries of Fredericksburg on their own terms, but don't know where to go or don't want to drive can head to 290 Wine Shuttle. 290 offers visitors the option of jumping off at any of the renowned thirteen wineries that their fleet of air-conditioned busses and vans stop depart from every 15 minutes. Operating only on the weekends, the shuttle starts at the Fredericksburg Visitor Center and goes through thirteen of the best wineries along the 290 East Wine Trail and guests can spend as much time at each of the locations as they'd like. 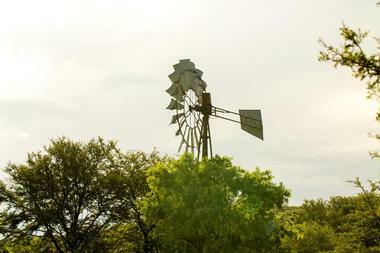 With personalized tours that take visitors down Wine Road 290 in Fredericksburg, Texas Grapes is passionate about the history and uniqueness of Texas vineyards, and they aim to share that with all those who visit. The intimate and entertaining wine tour through Hill Country is unlike any other, as guests are chauffeured to three different premier wineries in a Lincoln Town Car stretch limousine. The tour guides/ drivers are some of the most accommodating and knowledgeable people in Texas when it comes to Hill Country wines and will add to the personalized experience of the vineyard tour. 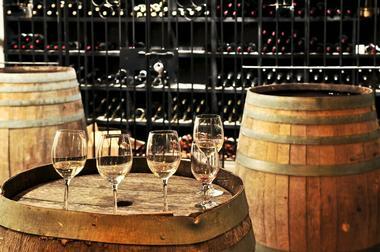 The tours can be customized based on a visitor's distinct taste for vintages such as sweet, dry, or bold wines in white or red specialty blends, as the wineries visited during Texas Grapes tours vary in specialty. The Chisholm Trail Winery has been producing wines for the public since 1999 but didn't have its grand opening until 2001. 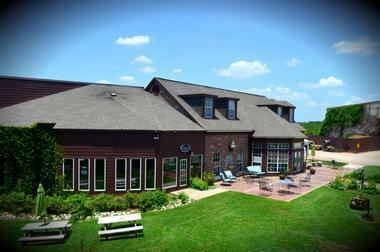 Though it may be one of the newer wineries on the Fredericksburg 290 Wine Road or the Texas Hill Country Wine Trail, Chisholm Trail Winery has a lot to offer visitors - especially some delicious wines uniquely made on the 12,000 square feet of land. Visitors are invited to walk around the vineyard and winery on their own or request a guided tour for a more informative experience. Those looking to enjoy the fantastic wines of Chisholm Trail Winery any time of the year can sign up for the Chisholm Trail Wine Club.